Four underfed children were found by authorities on a Texas property on Tuesday, February 12. The two eldest of them were locked inside a dog cage, authorities have confirmed. According to The Associated Press, Wise County Sheriff Lane Akin said that the children included three boys of ages 5, 3 and 1, and a girl, 4. They reportedly were discovered at approx. 7:20 a.m. following the arrival of deputies to a home after receiving a domestic disturbance call near Rhome, Texas. 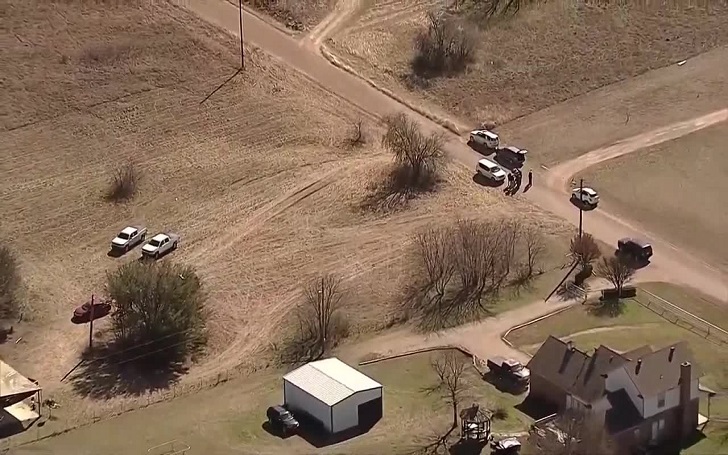 According to The Dallas Morning News, the law enforcement officials were speaking with a man and a woman when kids were heard from a barn. As per the report, the woman named Paige Isabow Harkings, 24, is the mother of all four children and the man is the father named Andrew Joseph Fabila, also 24, to one of them. According to Wise County jail records, both of them were charged with four counts of criminal child endangerment. Paige has been also charged with an aggravated assault. Lane said that the kids, who were malnourished, were inside a barn that had been "crudely fashioned" into a living area. The eldest two kids, who were in a 3-by-3-foot cage, looked "absolutely disgusting" as they were dirty and only had some clothes on. They all were hungry and thirsty. The kids were transported to a medical center for examinations and treatments.